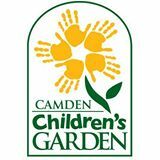 Join us at The Camden Children’s Garden in partnership with The Camden City Garden Club and volunteer in their Community Gardening Program. We will assist as needed with cleaning, pruning, weeding, sowing and planting in a new fruit and vegetable community garden. A bus will drive us to the garden site in Camden. Please wear comfortable clothing; long pants, hats and closed shoes/ sneakers are recommended. Gloves and all necessary tools will be provided. This is family friendly site so volunteers of all ages are welcomed. At the end of the event, refreshments and a light lunch will be provided.